System change is not a new imperative. People have been designing and implementing novel socioeconomic systems for decades, especially since the 1960s. Examples abound of intentional communities where people have redesigned their lives and their interactions with the environment. But in a scenario reminiscent of what had been happening with respect to the “cookstove problem,” none of these experiments have truly caught on. Most of them have obvious drawbacks that make it unlikely that they will be widely adopted. If you are not measuring and verifying any part of your design, then you can be absolutely sure that some aspect of it is broken! 1. What is the total ecological footprint of the community? 2. Is the per capita ecological footprint compatible with the Half Earth solution? 3. Is there equality of opportunity for everyone in the community? 4. How much carbon is being sequestered through the regeneration of Life? Another lesson that I learnt from my experience with the cookstove problem was the need to experiment in a safe space. In addressing that problem, what began as a solar cooker project ended up in the Mewar Angithi deployment! For the Mewar Angithi solution to emerge, we had to keep trying things out while being open to the idea that what we were doing wasn’t going to be acceptable to the users! Likewise, we need to architect the Butterfly systems to be flexible and adaptive, where people of diverse backgrounds can come together and try things out and see what works in a safe, but real world setting. 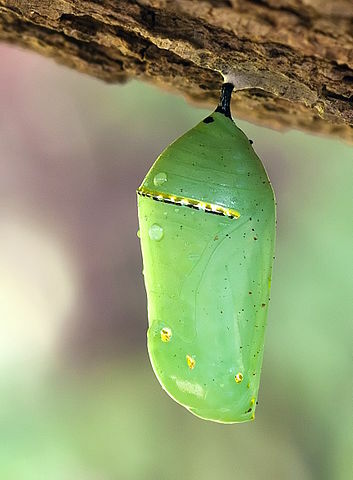 The final lesson is that in the Butterfly system, it’s a good idea to default to the exact opposite of what has become normal in the current Caterpillar system. For instance, in the current system, the corporations and the government are watching our every move on the Internet, while they guard almost everything they do as trade secrets or national security secrets. Therefore, the default in the current system is individual transparency and institutional privacy. In the Butterfly system, it is a good idea to start with the exact opposite: the default should be individual privacy and institutional transparency. Every individual should be able to communicate anonymously and express freely. Everything that institutions do should be open-source and transparent. People need to be able to audit institutional books on an instant basis. Above all, we need to have fun while working out the nuances of the Butterfly system over the next few years! After all, this is the greatest transformation in the history of human civilization and we’re so lucky to be a part of it!